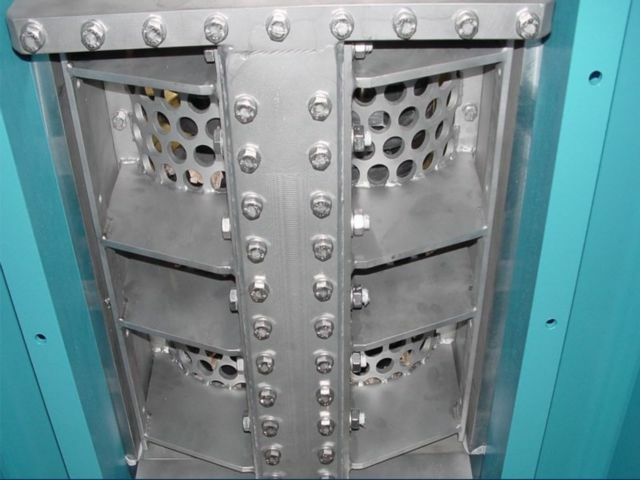 The B Series, B600 to B1200, twin shaft industrial shredders have been designed a medium duty machines. 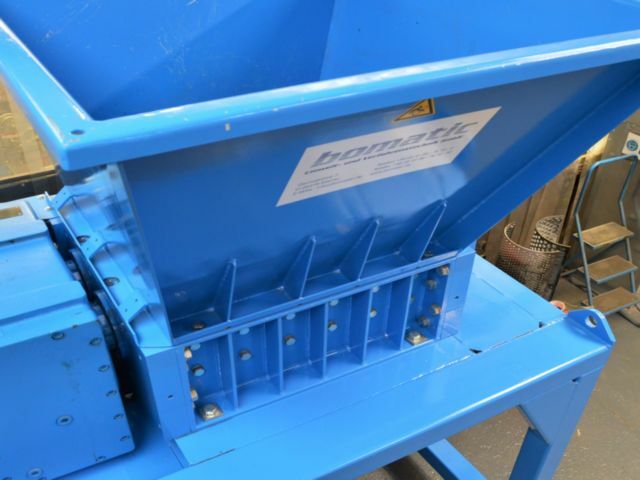 More than adequate to meet the requirement of a typical small to medium tonnage requirement as a primary industrial shredder. 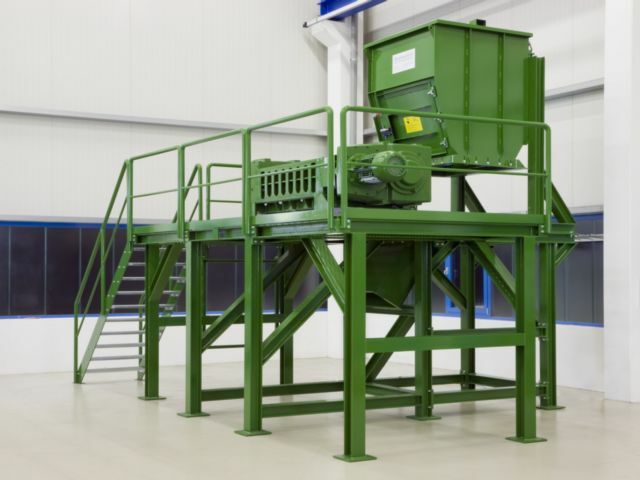 Flexibility is a great feature of this two shaft industrial shredder series hence probably its appeal to such a wide market. Capable of processing a number of mainstream materials in one machine to include; tyres, bales, metal and plastic drums, bulky industrial waste, WEEE and file, data destruction and many other materials. 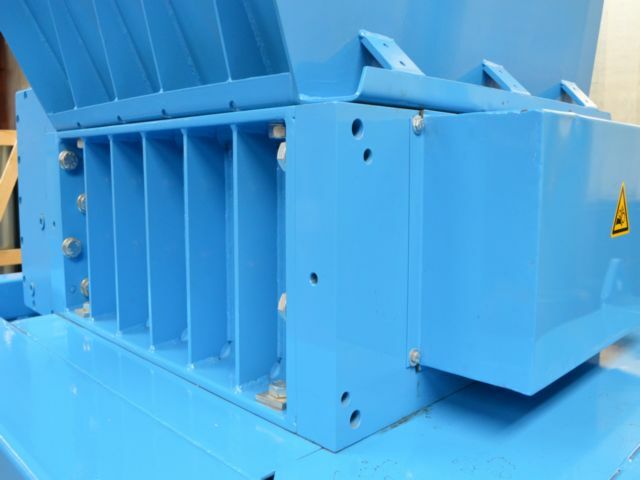 Energy efficient and very robust this two shaft industrial shredder series are found in many waste resource processors as the prime mover. 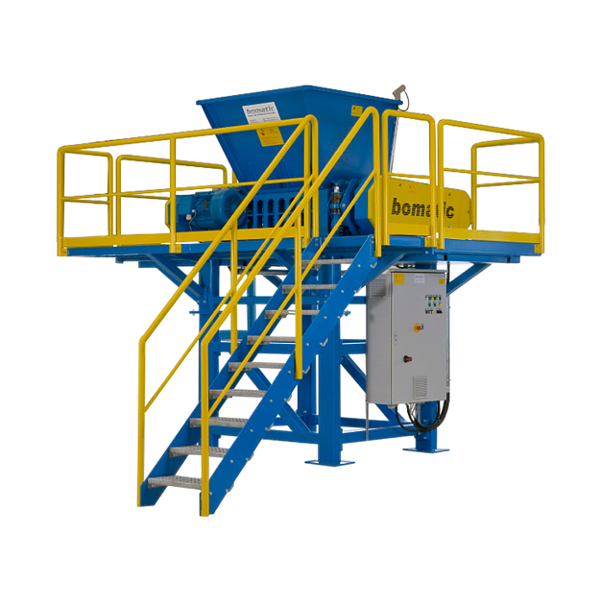 Download our Bomatic Industrial Shredder Brochure. 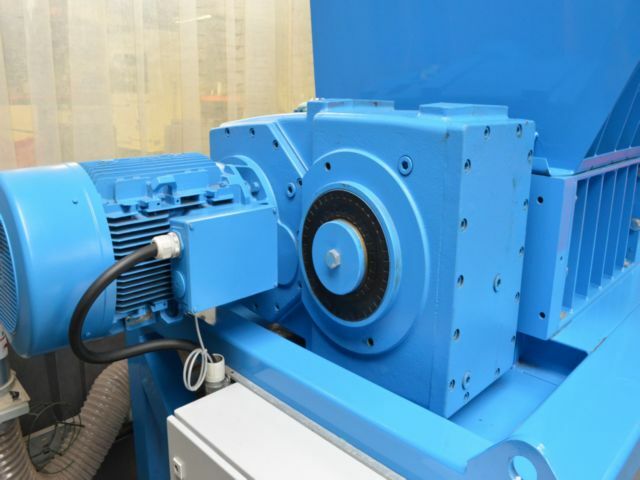 Twin cutting shafts rotate in opposing directions. In case of a disturbance the shafts automatically stop. 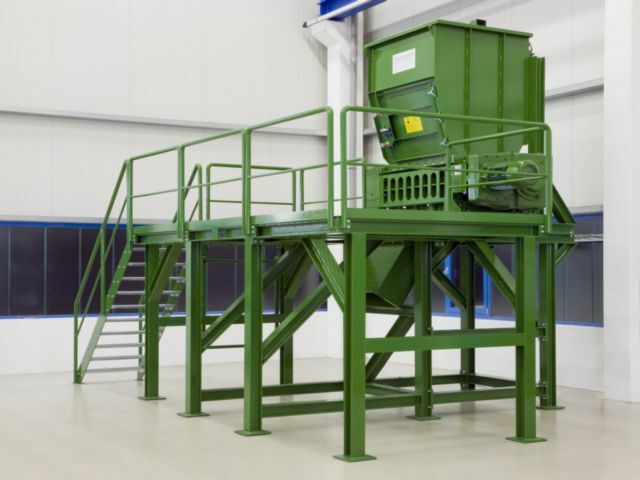 Efficient primary size reduction of scrap white goods, using a B800S shredder. B1000s twin shaft shredder, processing cardboard spools. Primary shredding of UPVC window scrap, with the use of a B800S machine. Quick size reduction and material separation of PVC flexible ducting, from production line quality rejects, with the aid of a B800S shredder. A B600V, slow running rotary cutting action, extremely effective for shredding of computer hard drives. Safe and secure destruction, using a B1000s, of used military clothing and footwear. Coarse shredding of waste steel cans and containers, through aB850VDD. 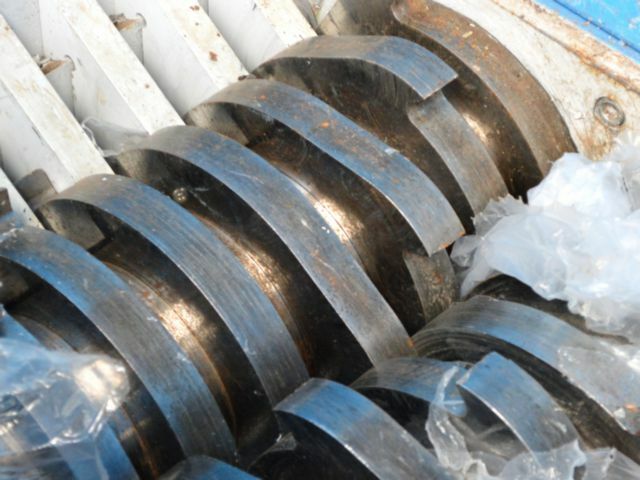 B1000s twin shaft shredder, processing plastic drums and drum lids. 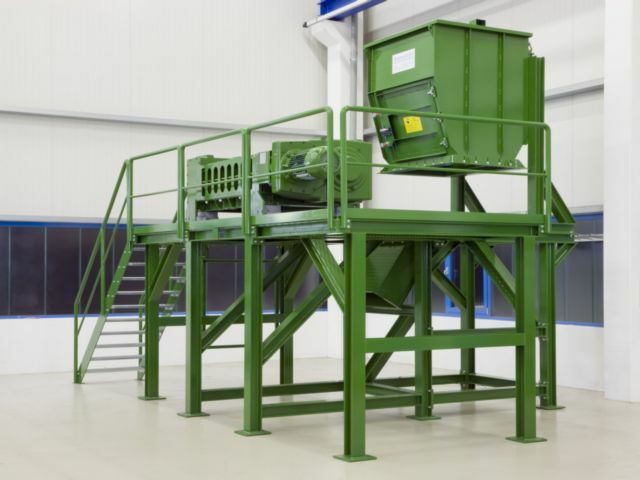 Biowaste reduced in size, through a B1200DD twin shaft shredder.